Please choose carefully as unfortunately this product is not eligible for our No Worries Return due to hygiene issues. Please refer to our Returns and Refunds Policy for further information. Minimal packaging is used and what's left can be recycled! No animal testing on any ingredients. 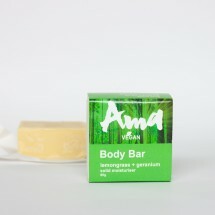 Only natural ingredients used with the majority being certified organic.